During the winter months, children and adults alike enjoy the thrill of sledding. Unfortunately, it isn’t without dangers, and every year, there are 20,000 injuries caused by this popular pastime. From back pain to muscle fractures and strains, sledding injuries can be intense and their effects long-lasting. To reduce the likelihood of injury, below you will find some helpful information for sledding safely. Young children should never be left unaccompanied by an adult during any type of sledding event. But no matter your age, there are some tips that can help keep you safe during outdoor excursions. Make sure the incline is not extremely steep, as this can create out-of-control speed that leads to injury; choose a smaller hill with a more or less uniform surface and no obstacles like trees, brush, or rocks. On the sled, sit upright with your feet out in front of you or tucked under your hips, and take the hill facing forward; this gives you a bit more control over the sled and protects the head from injury. For even better protection from head injury, wear a helmet; even a regular bicycle helmet is sufficient—anything that creates a hard enclosure around the skull. Back strain is one of the most common types of sledding injuries and typically results from twisting the back while on the sled, falling off the sled, or laying down in a prone position on the sled while it is in use. Always go easy when sledding and keep sessions relatively brief; some types of back pain won't show up for hours or days after injury. If you start to notice back pain, there are several at-home treatments that may ease discomfort. Soak in a warm bath with Epsom salts. Sleeping on a harder surface, like the floor, with a pillow under your feet can also provide relief. Over-the-counter pain relievers such as acetaminophen will better control pain levels. Be sure to make an appointment with a chiropractor to get to the root of your back pain and eliminate the cause, not just the symptoms. Back pain doesn't have to be a part of sledding, and these pointers can keep you or your children safe when enjoying the outdoors this winter. 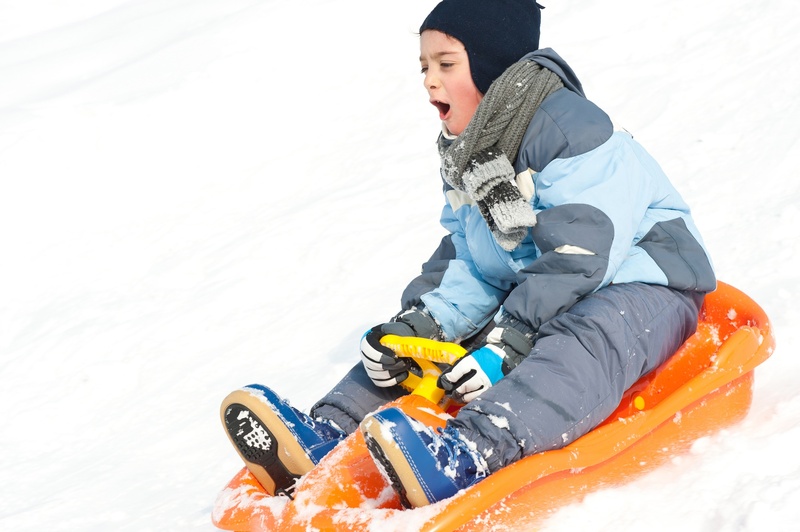 If you or someone you love has experienced any type of sledding injury, let North Pole Chiropractic help. Dr. Jack Harrison, D.C., and his team provide pain relief to the North Pole, AK, area with a number of chiropractic health services. Call (907) 488-1885 or visit them online to schedule an appointment today.